​Also we have Classes & Workshops! ​You don't have to be an art major! You don't even have to be art savvy... You just be yourself and let #ots7 help you get creative! We are a locally owned business, right in historic Old Towne Petersburg, VA! Come out for a creative alternative (or addition) to an evening with your friends, or by yourself! *if there isn't an advertised painting already. *Choose from the paintings already done, or request a specific design of your own liking, if you give 2 weeks notice. A girl's night? A date night! 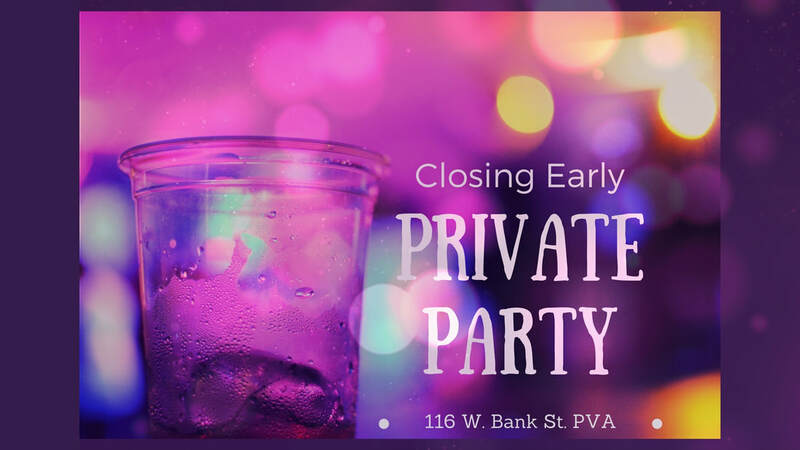 We have open paint nights available most Thursday thru Saturdays, and we book private parties throughout the week: Bachelorette parties, team building, baby showers, birthdays... If you need an alternative to the library or to the bar, then we have the perfect spot! If you see an event on the calendar that you would like to register and pay for, please click on type of item below. This is the generic item page; the details and specifics are listed under the calendar event description. If you don't see the event listed that you would like to pay for, please contact OTS7 and tell us that we neglected the pay option for the particular event... and please, accept my apologies.